Congratulations to Shane Ryan from Edgewood High School for receiving the 2018 Jeff Sauer Award! Thank you to the rest of the deserving finalists. It is heartening to hear about all the wonderful things that Wisconsin’s high school hockey players are doing. 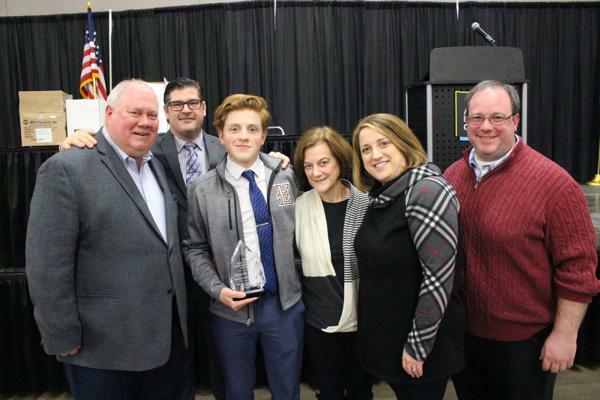 The Jeff Sauer Award, modeled after the collegiate Hockey Humanitarian Award, recognizes Wisconsin high school hockey players—male or female—who give back to their communities in the true humanitarian spirit. It is awarded annually at the Wisconsin Hockey Coaches Association State Tournament Awards Banquet.